Cruise ships are a great place for family vacations. Larger cruises are designed to have kid friendly facilities, planned activities, even babysitting. Many cruise lines welcome children, some of them free of charge, and are full of youth programs, so that parents can plan a vacation that is relaxing while children are still being cared for and making new friends. There are different amenities and services offered by various cruise lines. Knowing which services are offered by which cruise lines can help you decide where you want to book your next trip. Carnival Cruise Lines has babysitting, youth centers and playrooms, and age-appropriate programming for the under-18 crowd. This is true of Celebrity Cruise lines as well. Costa Cruise Line has youth staff, youth centers, teen centers on some of their ships, and babysitting. Crystal Cruise Lines has babysitting and youth centers, but they only have youth staff seasonally. Cunard and Disney both have babysitting, teen centers, youth centers, playrooms, and youth staff. Holland America has youth staff and babysitting on all of their ships, with playrooms and teen centers on most ships. MSC Cruises does not offer babysitting services, but has youth staff and youth centers. Norwegian Cruise Line has youth centers, playrooms, teen centers, youth staff, but no babysitting services. Royal Caribbean has youth staff, youth centers and playrooms, teen centers, and babysitting. There are many cruise lines which let you trouble with babies so long as they are six months old at the time of departure. While they will of course not remember the vacation, you can make the vacation more comfortable for yourself. Choose a ship that has an onboard nursery. There are many cruise lines that have drop-off nurseries for any children under three. Typically, they charge an hourly rate. Disney Cruise Line is one of the best cruise lines for babies because they have full-service themed nurseries which are complete with nap areas and toys. As a parent, you can use the special onboard mobile phone so that you are in touch with the nursery staff at all times. Royal Caribbean also offers nurseries for children under 3 where they can play with age-appropriate toys and of course take naps as necessary. If you are traveling with a small child under the age of seven, your cruise ship will look like a large floating playground to them. Between the ages of 2 and 6, children require room to explore, someone to play with, snacks, and naps. There are many popular cruise lines perfect for small children where kids can play games and get rid of their energy but then escape the crowds with a bit of solitude when they need it. Cruises offer different cabins and you need to make a cabin feel familiar and cozy for kids. Young kids have the same types of anxieties that adults do when they travel but it can be difficult for them to express those fears. If your small child has a sleeping companion like a special blanket or a stuffed animal, make sure that you bring it. Pack a few extra things to make your state room look and feel more like home. For smaller children shore excursions might be appealing, but most of the time they focus on the pools. Sailing on ships that have swimming is great, especially if they have things like swimming alongside dolphins. Kids might greatly enjoy state rooms that have a small porthole so that they can look out in the evening and see you what is happening at the ocean level. It is in your best interest to find family-friendly ships that have a great deal of water parks or multiple pools. Some of the newer ships have water-based features like large slides, splash areas for small babies, water guns, geysers, even surf simulators. Multiple pools and water-based activities can keep kids of all ages engaged. Small kids love cartoons. And today, many Disney cruises in particular, but other cruise lines as well, offer great characters on board. If your kids absolutely love cartoon characters, you can book the cruise with carnival or Disney and let your kids meet their childhood heroes. The characters will typically join kids in the kid's club activities. Sometimes they have storytime or breakfast, or even parades on the ship. Children between the ages of 7 and 12 will find the cruise ship a place for making new friends without ever having to leave. There are many different cruise lines which offer onboard activities and use counselors whose job it is to make sure that all of the kids on the ship are getting involved. They have activities like scavenger hunt, ping-pong tournaments, and jewelry making classes, talent shows, and face painting. Some children might not want to participate in kids' programs and would rather stay close to their parents. One of the nice things about having a youth counselor on your cruise line is that these counselors can meet with your children and help them play a few games with their parents so that they start to feel at home, eventually joining in with the kids' program activities. The closer they get to twelve, the more likely it is that they will want to join in the onboard activities and make new friends, rather than hang out with their parents. If you are traveling with a small child between the age of seven and twelve there are some things you can do to make the trip more exciting. First off, find the fun places. As soon as your child starts to feel more comfortable with the ship, they will start to want to leave the state room and look for fun on their own. So, find those fun places early. Help your child to make a friend. Most kids are shy when they meet new kids especially in unfamiliar environments. So it is typically up to the parents to seek out the parents of other kids and initiate those introductions. This can be as simple as inviting a new friend to play ping-pong just to break the ice. Other parents will be just as relieved that their kid has someone to play with. Bring walkie-talkies. Sure, most kids have cell phones today, but bringing a walkie-talkie can be a really fun way to communicate. Your child might want to play ping-pong for four hours and you might not want to stay and watch the whole time. So figure out what level of independence your child can enjoy so that you don't infringe upon the kid activities and keep in contact with the walkie-talkies. Try to see things their way. We often forget what it's like to be a child and sometimes kids might not find appealing what you find appealing. Museum tours or long hikes may seem ideal to you, but could be a chore for them. So check out what videos they can watch and maybe take a night to stay in bed and order room service. Take the opportunity to teach your kids more about geography than they might learn in school. Let them get first-hand experience by enjoying shore excursions, hiking, fishing, or coming face-to-face with their favorite sea life during a snorkeling class. You can help your children bring history to life by stopping at old museums or castles when you make your port calls in places like the British Isles or the Mediterranean. Try an activity at the end of the day where you have your kids either write down or talk about what their favorite thing was that day. Ending things on a note of gratitude or positive enthusiasm can help set your child up for a better day each subsequent day of your vacation. By focusing on what fun things they learned, what new things they got to do, or what friends they made, they’ll be more excited about repeating those same positive events for the rest of the vacation. This can also help kids who might have had a rather bad day or a frightening experience to no longer focus on the negativity. Make sure your child knows that the lifeboat drill happens on every ship. This could actually worry your child. So when you are going through the drills and trying to put on your lifejackets, maybe pretend that you don't know how to figure yours out and have your kid help you. Traveling with teens is great. The first reason is that they're big enough to carry their luggage. They're big enough that you can take with them anywhere you want to go. Once they pass the age restrictions you can go to Northern Europe, the Mediterranean, even Alaska. Age restrictions will no longer hold your family back. Remember that teenagers need a lot more space. As they get bigger they're not only going to need more physical space but they're going to need more space away from you. So when you book your cabin a triple or quad cabin will work best if you have one or two younger kids because they will enjoy the coziness but as a teenager you're going to need to provide a bit more privacy. And remember that space is expensive. You might consider options like a mini suite or a family suite, perhaps simply looking at adjoining cabins that have a private connecting door or booking cabins that face across from one another so that one has the ocean view and maybe one has the balcony. This way everybody gets a little bit of privacy. When you are booking to provide more space, remember that every cruise is different when it comes to cabin options and availability, so consider the actual space size that you’re getting. The mini suite might be larger than the largest regular room with two separate sleeping areas. The suite might be larger and also contain things like tables and desks or television viewing areas. Read reviews by other families to see what they recommend, and consider what you can reasonably afford. If the prices are similar, the biggest consideration is the comfort and privacy that you are offered. If you have separate rooms then you have more privacy certainly but you are not going to be able to keep track of your teens as effectively as if you have a spacious suite where everybody has a different room but they share a common seating area. Of course if you do get separate rooms and they are across from one another or have a shared wall, you will at least be able to keep track of the amount of noise your teens are generating. Adjoining cabins and family suites are often in very high demand during the summer as well as during spring break and winter break. If you want to make sure that you get this type of suite, you should book 4 to 6 months in advance. Your teenager might not be interested in the cruise up front but once you get them going they will start to enjoy it. They are probably going to claim, rather consistently, that they don't want to go. They would rather stay home and hang out with their friends. But in spite of every protest your teenager might throw your way, at some point during the cruise they will admit that they were happy they came. No teenager is going to leave the cruise at the end still wishing they had stayed at home. Your teenagers are going to need more freedom from you than you actually need from them. 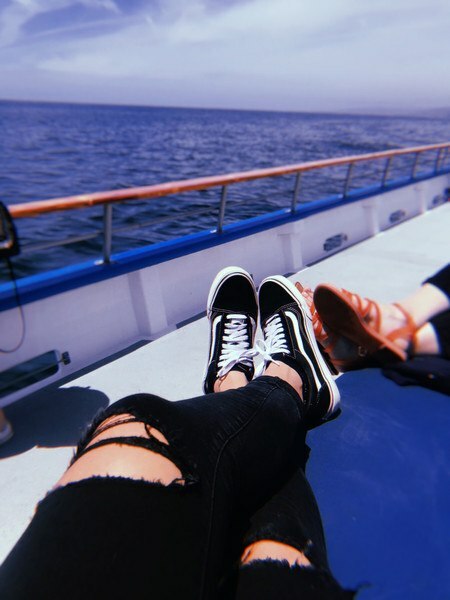 Don't think that going on a cruise with your teenager is going to give you the opportunity to explore every part of the world together, at all hours of the day. Your teenager might have a different goal. They might want to get as far away from you as possible. Thankfully cruises allow for great compromise. You can book shore excursions together as a family but when you are back on board, you can let your teenager set their own schedule. Newer, bigger ships have many additional teenage facilities and teenage based activities. But your teenagers will need a lot less structure than younger children. Regardless of how many scheduled activities there are, your teens will find a way to meet with other teenagers and have fun. So choose the cruise based on the quality that you will get, and the price. You don't have to worry too much about whether they have teen specific programs. If you truly want to have grown up time when you take your cruise with your family, look for a cruise line has youth programs operating in port or ships that have evening babysitting. Naturally which one you prefer is contingent upon the age of your family. You might want to have some grown up time where you can visit a winery in port or visit the ship spa. In order to do that, make sure that you can leave the ship while kids are left in a youth club. Many ships will happily let your child play with other children while you go off to scuba dive, visit museums, or shop at a boutique. Most of these have a single charge for a full port day fee. Other cruise lines offer charges to supervise your children while you have meal time. Those cruise lines which have babysitting options typically charge you per hour and they operate almost 24 hours per day. No matter the age of your kids, look for family-friendly attractions and programs that your kids will enjoy with or without you. Cruise lines like Royal Caribbean have ice-skating, rock climbing, and even zip lines or surfing. Some of the larger and newer ships are specifically designed to appeal toward teens and adults with skydiving simulations and indoor roller-skating or bumper cars. Look for cruise lines that have things like bowling, miniature golf inside, sports video gaming, arcades, theaters, even audience participation competitions. This way you and your family can find great things to enjoy as a group or things that the kids can enjoy while parents are off doing something else. Look for family-friendly entertainment in the evenings. Many cruise lines are well known for having R-rated comedians or adult-only games, but if you are traveling with your family try to find family-friendly shows and book them early. Princess Cruises, for example, shows films on the deck at night while moviegoers are tucked into blankets on the lounge chairs. Disney sometimes impresses families by giving them a secret viewing of movies not yet released in the States. Royal Caribbean offers Broadway hits at night, appropriate for families. So figure out what it is that your family wants most and book a cruise line with those amenities.